making it fun: MMF Glitz Blitz: Quilts! When we first talked about doing metallics on our silky Cotton Couture weight fabric we knew that it would be perfect for garments, clutches and throw pillows but we wondered if it would make beautiful quilts-- well, Heidi Pridemore designed a couple of spectacular quilt patterns for us! We LOVE how they turned out. 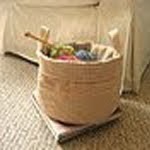 They are so elegant yet totally washable and great for everyday use! As part of our Glitz Blitz, we'd like to share them with you! 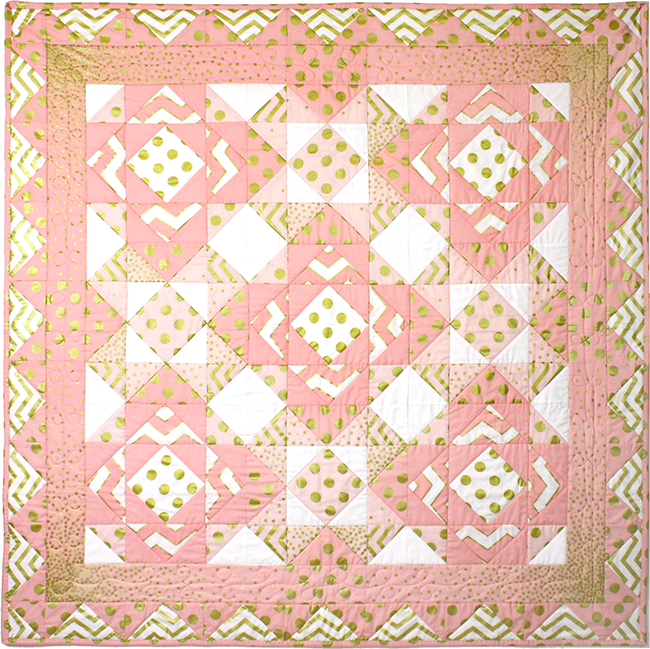 The pink Glitz quilt pattern (pictured above) is available here. The mist Glitz quilt pattern (pictured above) is available here. Well, this post wraps up our January Glitz Blitz! I hope you are feeling inspired to sew with metallics! I know that I am. And a big THANK YOU to all of the artists who participated in our blitz... you are amazing! 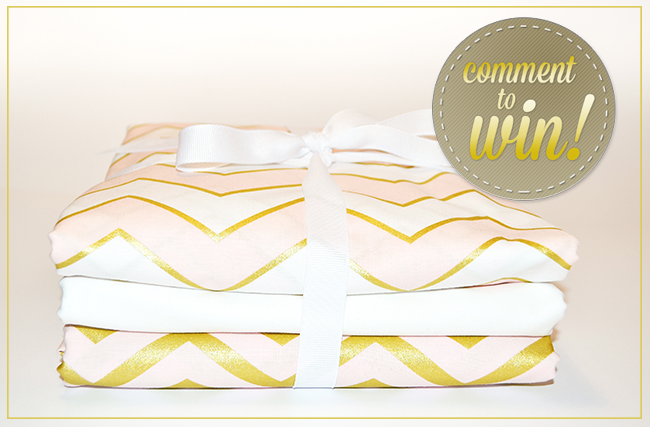 In honor of the end of the Glitz Blitz, we're giving away six yards of fabric! Two yards of Chic Chevron in Confection, two yards of Sleek Chevron in Confection, and two yards of our silky, soft Cotton Couture in Bright White! We'd love to hear what you think about all of the metallic projects, what you will make if you win, and what colors you would like to see in the future. Comments are now closed - thanks so much for participating! "I thought the clothing, the children's dresses, were pretty but I love to make quilts and love the two in this post. That is what I would use the fabric to make. The aqua and the blush are both gorgeous. This is just one luscious group of fabric. Any color at all." 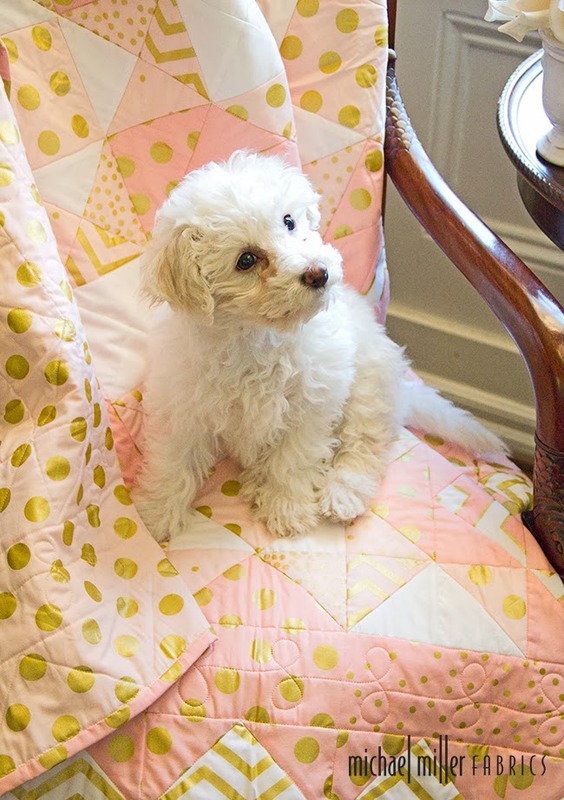 Cute quilt pattern! I would love to see some silver in future fabrics. Love the green and gold together. I think I would make some pillows or maybe a tote. I'm not a metallic fan but my 18 year old daughter love it. She'd especially like it with deeper colors, especially black and a cobalt or royal blue. Especially animal prints. Is she my child? I can't wait to get some of this fabric, a dress, a quilt, skirt, a pillow the possibilities are endless. I love metallics! They look so exquisite in these quilts, I would definitely use the m in one. Also love them in bags. Can't wait to see them in person! I love the fabric! Would use it in an awesome quilt! I thought the clothing, the children's dresses, were pretty but I love to make quilts and love the two in this post. That is what I would use the fabric to make. The aqua and the blush are both gorgeous. This is just one luscious group of fabric. Any color at all. Wow, the fabrics are so pretty! 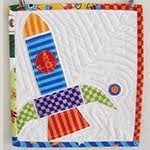 I love the quilts! I have never done metallic fabric but now that you've shown me, I'm really digging it! If I win, I would love to make a quilt pillow case, just something that's simple yet beautiful. I love the colors too! I'd love to see purple! Purple and gold just seems so royal to me. I love the metallic fabric and the look of it in the quilts. I would make a Christmasy table cloth and some place mats with it. I would love to see some blue or purple metallic fabric. I love these metallics! I think I would start with a quilt for my niece and if there was anything left, make a tote for me! I would love to see a soft mint green or lavender in the future. I would like to make a dress or skirt for my granddaughter. The fabrics are so pretty. I love the projects, especially how the chevrons were used. Colors I'd like to see in the future, maybe ice blue and silver? 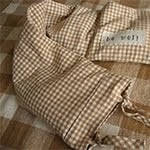 I am really excited about this fabric line! I want to use the blush to make a little dress for my daughter. I would love to see blue and lavender added in the future. I am really excited about this fabric line! I want to use the blush colorway to make a little dress for my daughter. I would love to see blue and lavender in the future. My daughter would flip of I made her something out of this line. Thanks for the chance! I love the metallic projects! The quilt pattern is great. Forgot to say that I am open to any colors! I wonder how would look like glitter on dark background (for example amaranth, glitter in coordinating color). It could be something nice. So fresh and festive. Love the child's dress. I'd like to see metallic gold or silver combined with lavender because lavender is a quiet color but should stand out once in a while. 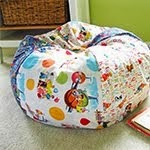 I would use it for a child's dress, and for market bags--why should market bags be drab and boring? I just love the Mist quilt, but I would probably use the fabric to make a dress and a purse for my granddaughter. Thank you for sharing. I WOULD LOVE TO MAKE A DRESS FOR MY DAUGHTER!!! My daughter would flip over a dress made with this fabric. Oh, I love this!!! I would definitely make something for my quadruplets with this!! I love metallic fabric. The gold is stunning. I'd probably make an every day bag if I win. This is so lovely, I'd like to use it every day! Thanks! 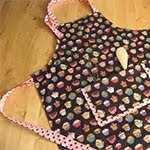 I love this fabric- I would sew dresses for my 4 year old granddaughter that loves bling:)) thanks for the chance! Making a quilt never entered my mind...until now. Will definitely be making a dress though. 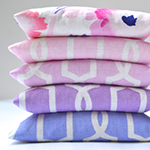 Oh, gorgeous fabrics! I think I would use it to make a quilt, maybe with some teal added in! I would love to make a bag out of this fabric. It's too beautiful not to use everyday! I'd love to see some lavender and gold combos in the future! I love these Metallica! I think I'd make a dress like the one Hayley made in STYLO. My favourite project has to be the jacket The Cottage Mama made. 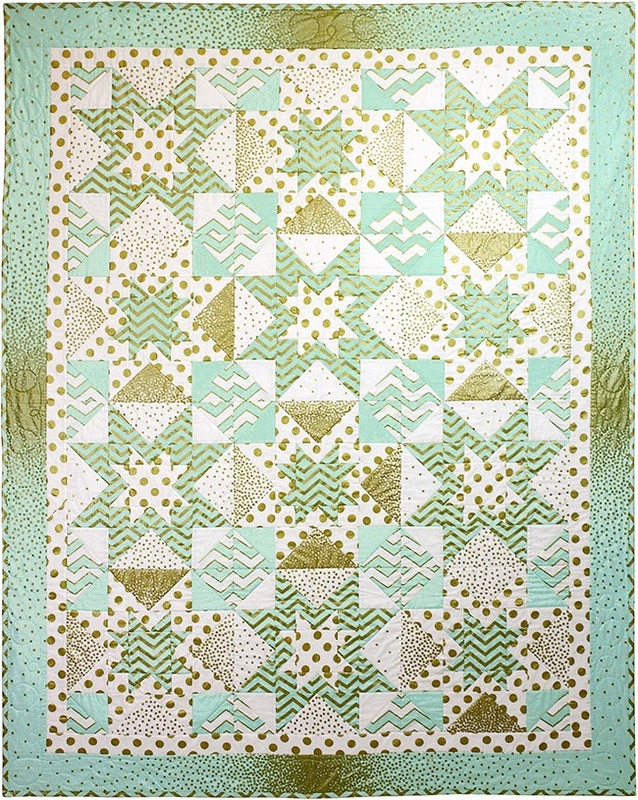 But that mint quilt is stunning too. I'd love to see a pale purple glitz or ruby red. I love this line. 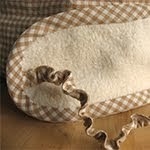 I'm going to make stockings for next Christmas and use it to make a dust ruffle for my baby's crib. This fabric would be perfect for the bags that I love to sew! I LOVE the metallics and would definitely like to give a quilt a try with them. Gorgeous! Would love to make a quilt with those fabrics. Love your blog! I love the metallics. I love bling and shiny things, so this fabric is perfect. I would love a bigger rainbow of colors. Perhaps some prints under the shine. I know I will make myself a cute tote bag if I win. Wow! Supercool! I would use it in a girly quilt. How about some orange-pink and blue-green together? these colors always make my day. I would make a series of table runners to use when we have parties at our house. The metallic and white could be used at just about any holiday. I would add blue and red napkins on the 4th of July and for News Years Eve I think I would go with white. Endless possibilities. Those are stunningly beautiful! I would make my daughter a pretty little dress and a quilt! SUPER excited now!! The metallic fabrics are very cool. I would use it for a quilt. Very glam. I am always on the lookout for mint colored fabrics and haven't seen many around. I would love to see more! Such fun fabrics. I think I'd make a bag or some fun zipper pouches.Would a skirt be too much? Haha Thanks! Gorgeous! My daughter would love a quilt!! I love these fabrics! With that amount of fabric, I'd definitely want to make a quilt. What a great way to look forward to spring! first I have heard of metallics! No longer a quilt store in our town:( babies continue to affirm the world should continue and last 3 years all girls so these fabrics would be adorable for next two due this year!!! 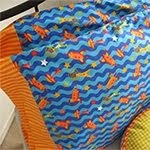 I first saw these fabrics a few days ago on a blog and immediately loved them! Glitz, yet not in a loud way, but soft and pretty and elegant. Love them so much. I see quilts and handbags because that's what I love to make. Wish I was a good clothing sewist, but I'm not. Thanks for this chance!!!! i love these fabrics! 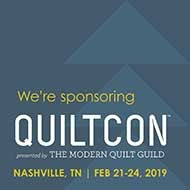 i would make a charity quilt for an eleven year girl from muhlenburg county kentucky. her house caught fire this past week and she lost her thirty five year old mother and eight brothers and sisters that ranged in ages from fifteen to twin boys that were four years old. only she and her dad survived and are in the vanderbilt medical center in nashville tennessee. she and her day were both burnt prett bad. babscorbitt@gmail.com i would also like to see this fabric in blue and purple and red. Gorgeous. Would love to make a modern baby quilt. How about metallic purple? I am so excited about the more metallic cotton options. I just saw some at Joann and Jennifer Sampou has some coming out in April. And MM Mirror Ball dots have always been my favorite. I want to make pj pants and a dress from metallic fabrics, especially that dot/ombre print! And I made a mug rug backed with mirror ball dots and it felt so cool after it was quilted. Definitely some of my favorite fabric!! Glimmer is a girls best friend! Definitely something for my granddaughters. Now....quilt or dress? Hard decision! Maybe a dress with a hat! Love the fabric! Makes me want to make a quilt and then wrap up and go to sleep.. (: I think I'd like to see brighter colors with a metallic silver. Some selfish sewing, a quilt for me! Amazing Fabric! Love Love Love it!! I will be making lots of Garnet & Gold dresses and skirts for my little FSU fan (and her friends)! I would make some pillows, I like the metallics. I would love to make a bag with these metallic fabrics. I woild love to make a metallic skirt, and anything can be made better by making it purple! Gorgeous. Thanks so much for sharing and a chance to win the glitz. Projects using metallic fabrics are so rich and special!! I could see making a bed runner and matching pillow covers with this fabric!! 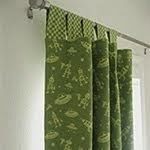 I would love to see a silver version of this fabric - thanks! Love it! I would make as many adorable things for my 2 year old daughter as possible. Skirts, dresses, a pencil case. Gorgeous! I'd make a quilt! Love the fabrics soooooo much!!! My daughter is all about glitz and glamour so i would probably start out with a skirt, but I know I want to make a quilt with it too! I love this, it would make a fabulous quilt! I love it! A Quilt ONLY for me! 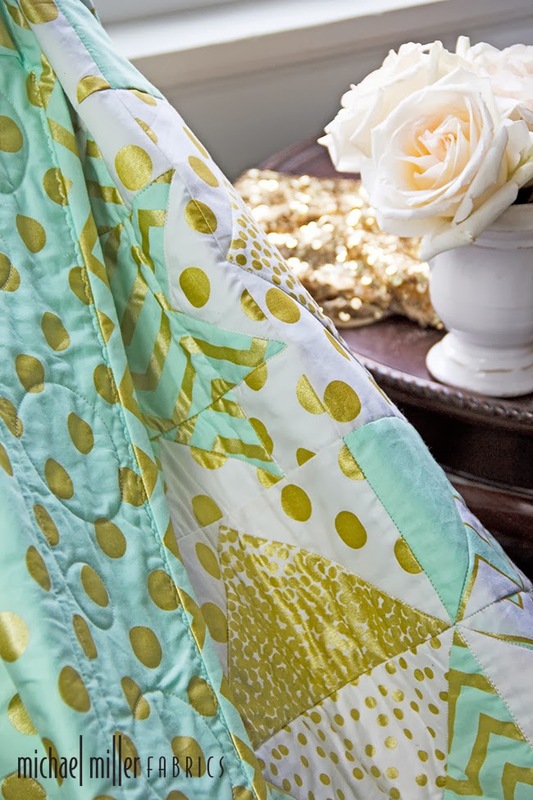 Ooh, a metallic quilt is on my 2014 to-do list! How very special I have a glam girl I mind for this quilt. She hasn't arrived in this world yet, but Grammy knows best. This is beautiful! I love the white and I would live to see a black and gold set to go with that. It would be a beautiful combo! Love them! I would love the pink and gold to make stuff for my baby girls nursery! Love these, how unusual! I have 2 granddaughters that I'd use them for. Love these colors but would also be awesome with metallic silver. i am absolutely drooling over these fabrics.....i want them all!!! Oh, this is a beautiful combination of colors! So pretty!! I think I would be afraid to cut it, but when I do (teehee) I'd have to make a few different projects with it. One would be a gorgeous tote! Oh it would so fun to work with this!! Well I downloaded a couple quilt patterns. Now I need the fabric. I would like to see some red and black metallic. I think the glitz would be fun in silver too! I love those quilts and I have seen many of these prints in blog-land. Everyone's projects look great. I have a coat pattern I would like to use these prints for. I would like to see silver glitz too! 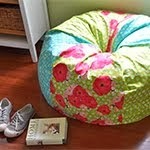 I love these quilts and the projects I have seen all over blog land with this fabric. I have a coat I would like to make using these prints. They are so fun! Love the bling! 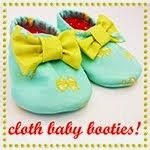 These would make the cutest baby quilt! I'd like to see some silver blitz. Thanks for the chance! I'd make my four year old a dress as she's definitely a glitzy girl...how about adding black to this line? Absolutely loving the idea of Glitz for my S/S '14 line! These light colors mixed with the contrast of metallic gold are perfect for women's spring dresses + matching toddler girl dresses. I'd love to see them in more pastels (lavender, peach, lime, canary). I love this metallic loveliness. I would definitely make a lap quilt with this fabric. Sigh. 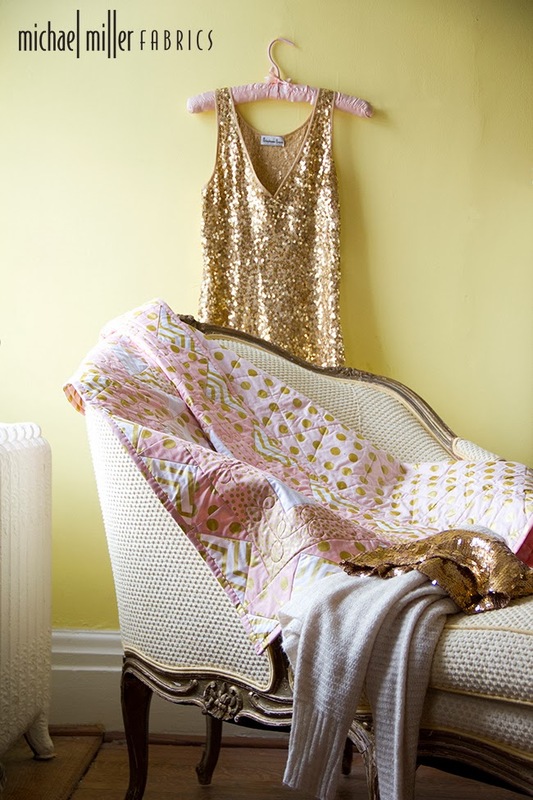 I looooove the gold with the pastels...soooo glam! Beautiful, can't wait to try these. I have no idea! Maybe a quilt for a friend. Lovely and unusual fabrics. Almost too pretty to cut into! Would love to make a quilt with this beautiful material for my glamorous granddaughter!! These fabrics are gorgeous! If I won I would make a quilt and pillows. I would like to see this in jewel tones. Love love love this fabric. Beautiful. I would love to win these fabric choices. I visualize the beautiful quilt I would make with them. I agree the pink and mist color combinations would make one beautiful quilt. Added to my wish list for sure!! Now this would make some terrific pillowcases, or pillows! Gorgeous. I love the quilts especially the one in mist, just amazing. 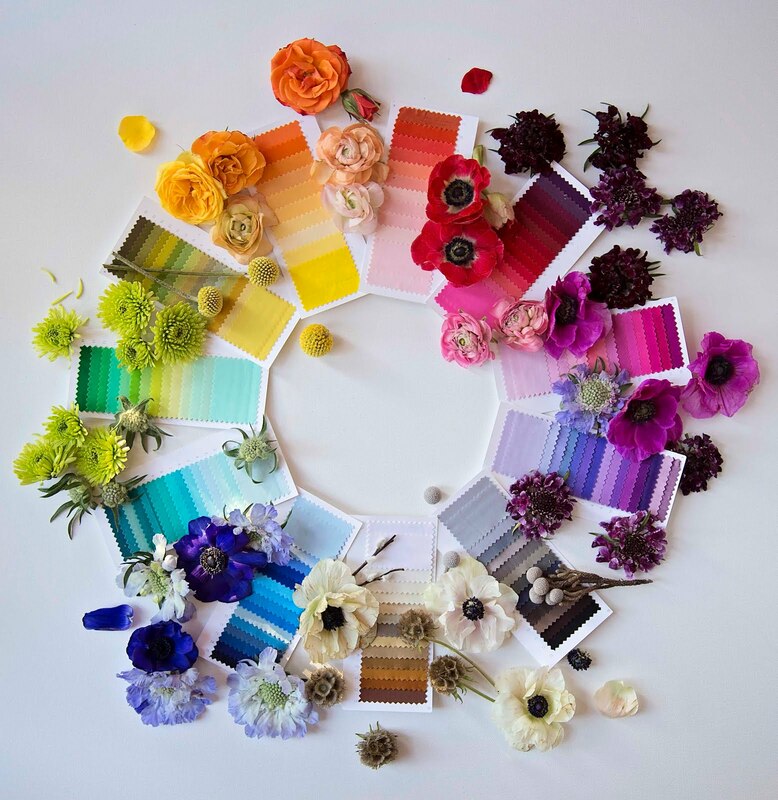 I will be making a cottage/Sunday dress with these colors. I would like to see more pastel colors and metallics. I've been waiting for this line to be available. I can't wait to use them for my aprons. Awesome line of fabric...Thank you Michael Miller !! Just love everything he comes up with! I would love to make my daughter a fancy party dress. I also would like to see deeper colors like emerald green and teal, perhaps orange too. Anything is possible with this divine fabric it would make anything princess perfect! 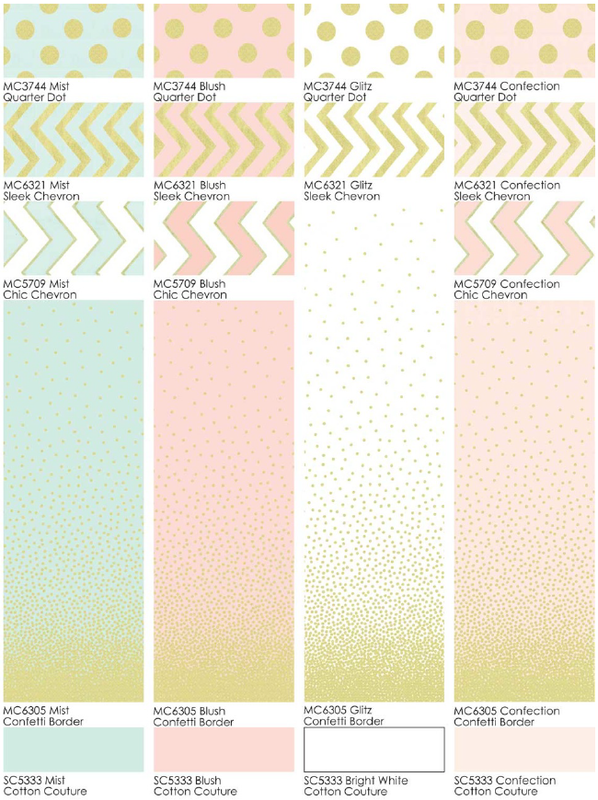 I'd love to see an olive green with silver confetti spots, or a colbolt blue with silver confetti spots x . So, beautiful. Love to get a hold of the fabric and pattern. I want to make quilt for my 5 year old niece. So far, I made her 2 quilts with michael miller's fabric.The fabric is so beautiful and i can't stop making quilts for little girls in my family. I adore this fabric. My mind went crazy thinking of design possibilities. What cute fabric..it looks like fun to play with! I make lots of costume hats and I love your glitz fabrics. 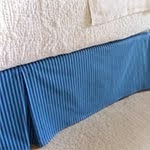 Most of the fancy fabrics I have to use are so flimsy, by the time I'd stabilized them, they just don't look natural. 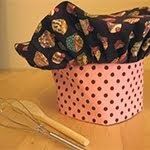 I'd make loads of hats with the fabric. Gorgeous! I would love to make a quilt for my daughter. This line would be so much fun for a project or two! 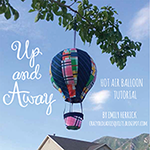 I'm keeping my fingers crossed and thanking you so much for the chance to win! Love this new line of metallics, will sure to order soon. I like both the pink and blue ... grey might be a pretty combo! Am I too late? I LOVE this fabric! !